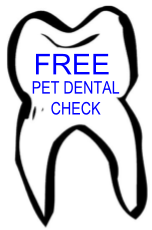 Free dental health check for your pet | East Bentleigh Animal Care. We are providing FREE dental health checks for cats and dogs to support our local community from now until the end of August. To book your pet in give us a call on (03) 9579 5858, book online, or come in and visit our friendly staff at 581 Warrigal Road East Bentleigh.